Ignacio López Tarso (born 1925) is an award-winning Mexican actor. Born in Mexico City, he began his career in the theater in 1950. He made his cinematic debut in 1954 in La desconocida (The Unknown), directed by Chano Urueta. In 1958 Luis Buñuel cast him in Nazarín. The following year he achieved his first starring role in Macario (1960), which was nominated for an Academy Award for Best Foreign Language Film. Over the course of his career, López Tarso has worked with a number of high-profile Mexican directors, including Roberto Gavaldón in his films Rosa blanca (The White Rose) (1961), Días de otoño (Autumn Days) (1962) and El gallo de oro (The Golden Cockerel) (1964) and Ismael Rodríguez in La cucaracha (The Soldiers of Pancho Villa) (1958) and El hombre de papel (The Paper Man) (1963). López Tarso has also collaborated with a number of renowned foreign filmmakers, such as Carlos Saura on the 1982 film Antonieta and John Huston on Under the Volcano (1984). He has won the Golden Gate Award for Best Actor twice, for Macario and El hombre de papel . In 2007 López Tarso was awarded the Golden Ariel by the Mexican Academy of Film Arts and Sciences. 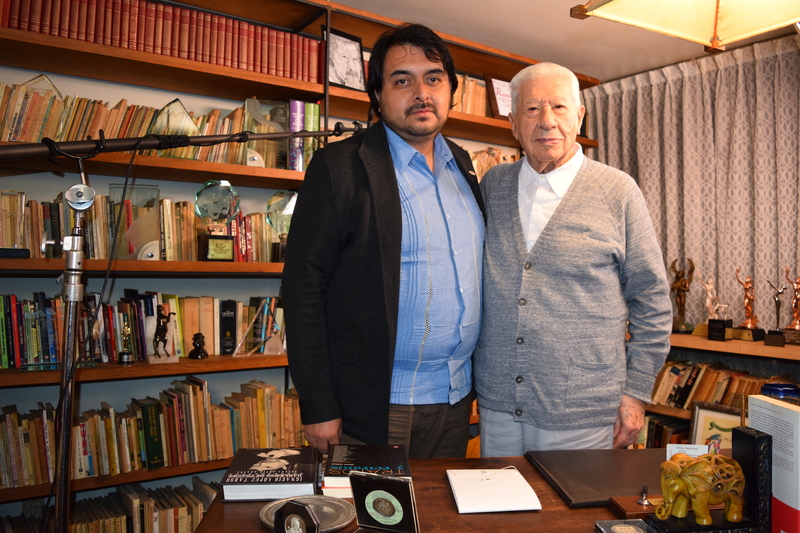 Ignacio López Tarso is interviewed by Michael Ramos-Araizaga at Tarso’s home in Mexico City on August 2, 2016. López Tarso begins the interview with tales of his upbringing. He details his school years and talks about the importance of family. He shares his love of literature, describing himself as an avid reader from a very young age. He remembers his days studying at the seminary in Temascalcingo as a teenager and his time spent at theater school in his early twenties. He has fond memories of starring in plays, such as Euripides’ Hippolytus, Shakespeare’s Macbeth, and Arthur Miller’s The Crucible. He shares anecdotes of his time living and working in Spain, where he joined the Lope de Vega theater company, and he chronicles his transition as an actor from stage to screen. He credits cinematographer Gabriel Figueroa with introducing him to film and remarks upon how lucky he felt to one day find himself working alongside the stars of the Golden Age of Mexican cinema: Dolores del Río, María Félix, Pedro Armendáriz, and Emilio Fernández. working with many of the influential Mexican directors. 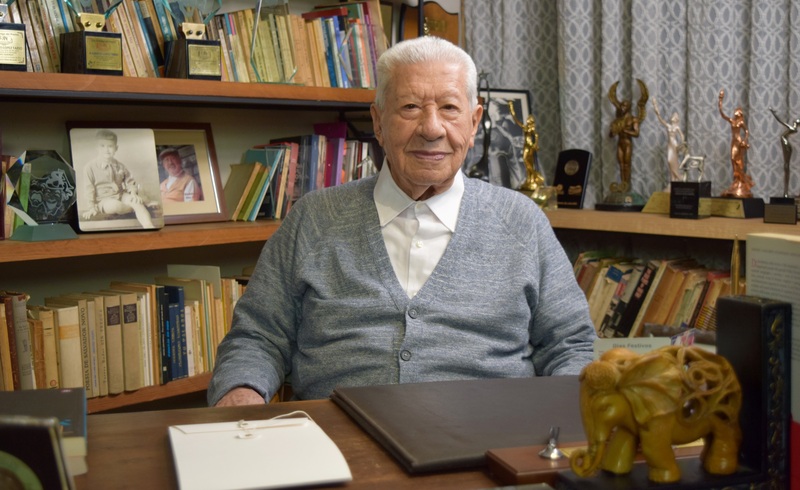 He describes meeting Luis Buñuel and starring in Nazarín (1958) and working with Ismael Rodríguez on La cucaracha (The Soldiers of Pancho Villa) (1958). 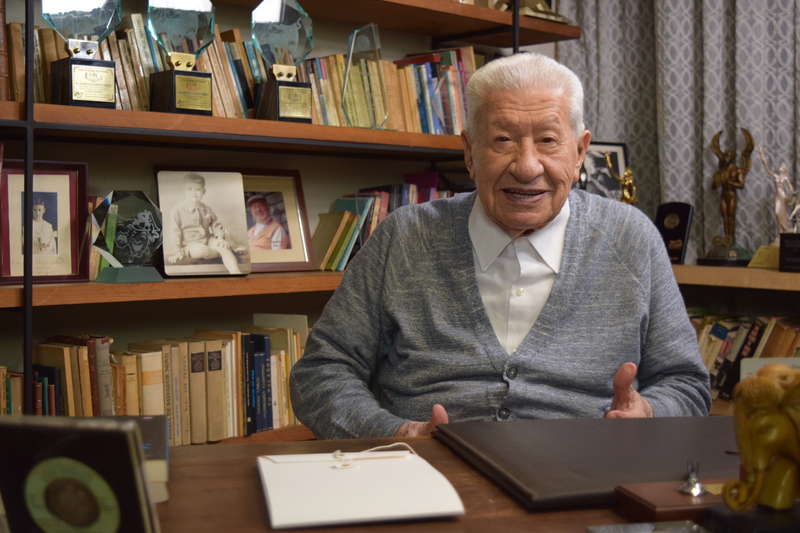 He relays how he came to be cast in Macario (1960) and shares memories of Roberto Gavaldón, a director he greatly admired. He details his working relationship with María Félix in multiple films, including La etrella vacía (The Empty Star)(1960), La generala (1971) and La cucaracha (1958). Referencing Under the Volcano (1984), he speaks about John Huston with great affection, describing him as an “exemplary director.” In closing, López Tarso discusses the rise and fall of the Golden Age of Mexican cinema, states that he has never had any desire to work in Hollywood, and describes what he believes to be the essential qualities needed to be a successful actor.